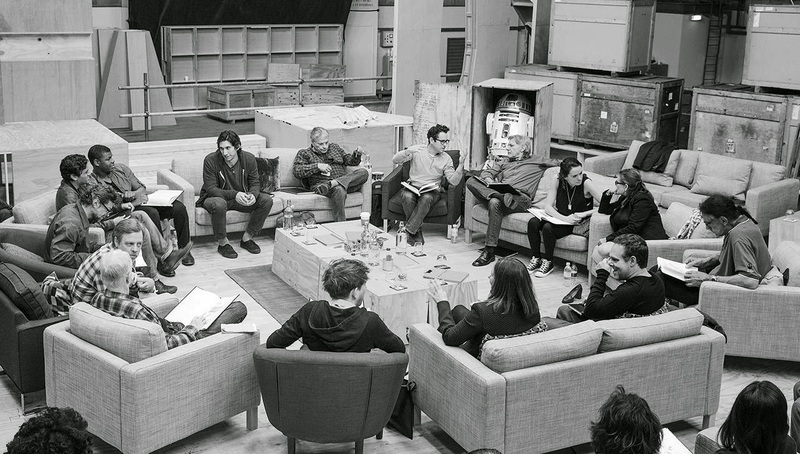 Meet the Stellar Cast of "Star Wars: Episode VII"
“STAR WARS: EPISODE VII” CAST ANNOUNCED! 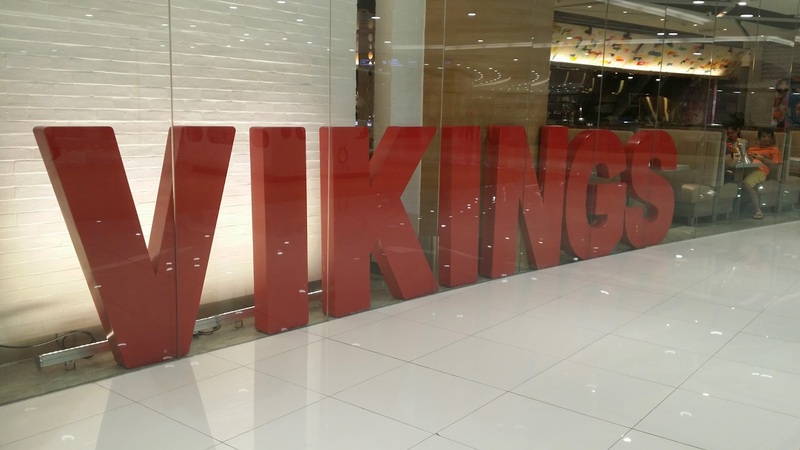 Since I first heard about Vikings opening at the SM Mall of Asia, I have always wanted to try it out and experience for why everybody had been talking about it. When they opened their SM North Edsa branch, my friends and I, who were buffet fanatics and were always on the “hunt” for new eat-all-you-can restaurants, tried several times to line up at Vikings, unfortunately, each time we tried to make a reservation, the waiting time was like 4 to 5 hours—which proved to be impossible for BPO drones like us. I finally got past the waiting line at the newly-opened Viking’s Megamall with the surprise invitation of OrangeMagazine publisher Jeman Villanueva. Again there was a long queue outside the restaurant, while those dining inside don’t seem to have any plans of finished their meals anytime soon. Pineapple juice were being served to the waiting guests and I thought we were also going to be waiting for quite a while. But after mentioning our names to the receptionist, I was amazed that we were immediately ushered in like VIPs! We got a very nice table just behind the Beverage bar where they were serving draft beer, hot tea Twinnings (my favorite), juices, water, sodas and a tea-infused juice section. 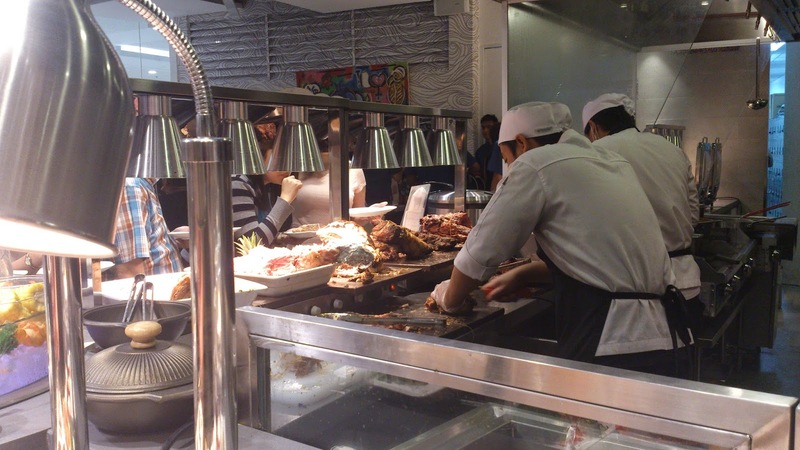 The place was very spacious enough to accommodate 500 guests and it was the largest buffet restaurant I have been to. 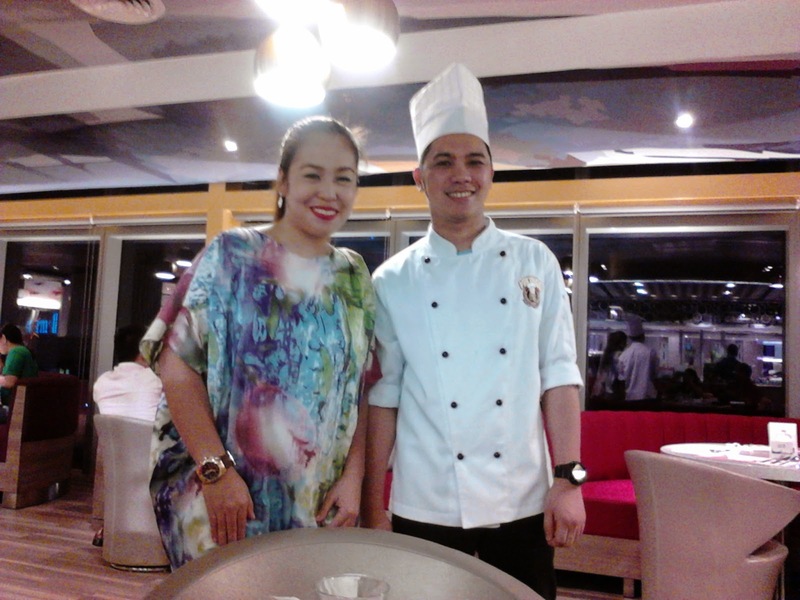 Shortly after we started, we were greeted by Vikings Megamall manager Ms. Racquel Bartolome, who guaranteed a fabulous and memorable dining experience that night. 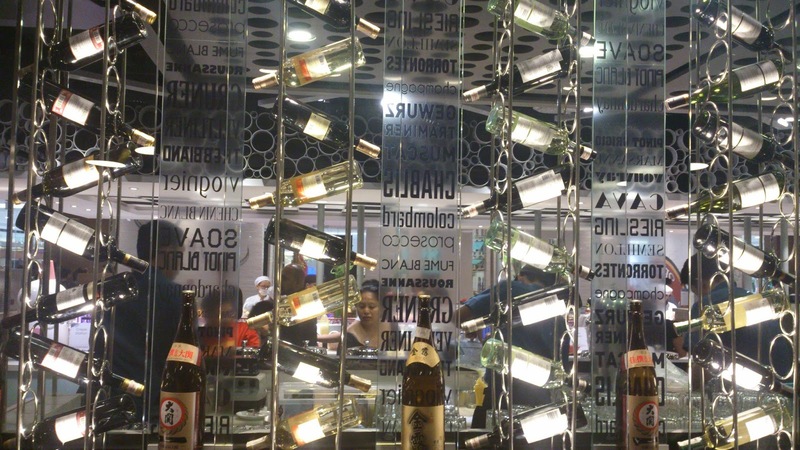 Each store, I learned had different concept designs but each had to suit its fine dining theme and the vast array of dishes they have available. I liked the layout since each table was spaced out appropriately enough to make you comfortable even if the place was packed. 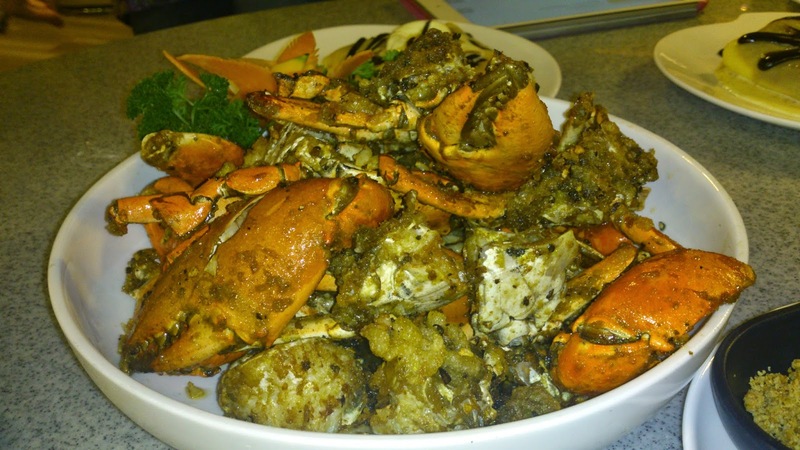 She then introduced Chef Ross who was the on-duty chef and gladly prepared the best savoury crab with peppercorn right at our table. After 10 minutes, Chef Adam (sous chef) surprised us with the delicious sweet Mango crepe with chocolate drizzle, the mouth watering crepe I have ever laid my eyes upon. I liked how it was plated. 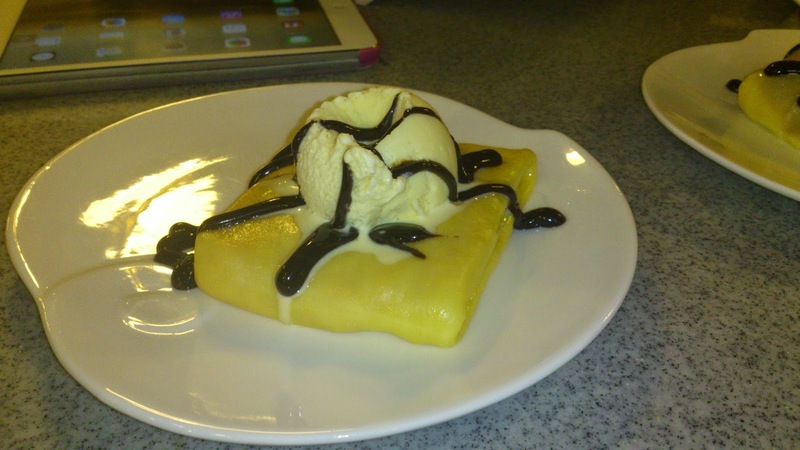 Not to mention, that it was the best tasted crepe in town. I convinced myself later that night that this would be my grand cheat day of the year, I got my plate and proceeded to my favorite section which was the seafood section. Bon appetit! 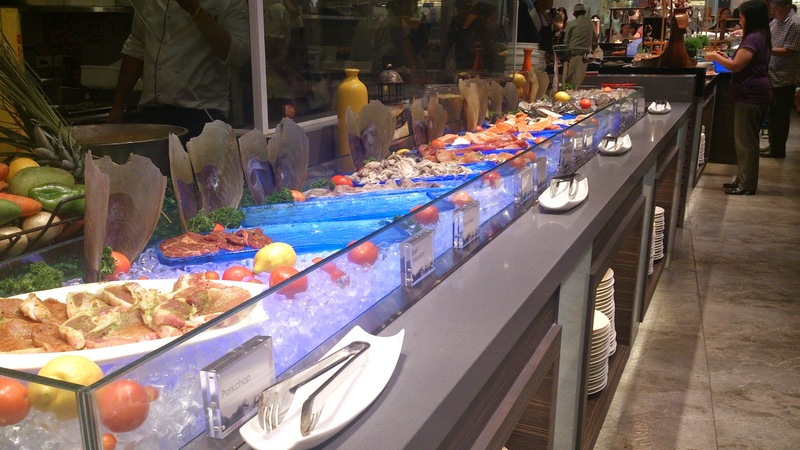 After eyeing what was in store for me, there were seashells, oysters, mussels, squid, salmon and tuna to choose from that are ready to be grilled I picked around 5 strips of salmon belly, tuna and 4 pieces slices of snapper(fish). The cook told me that it would be served at our table, in a bit. 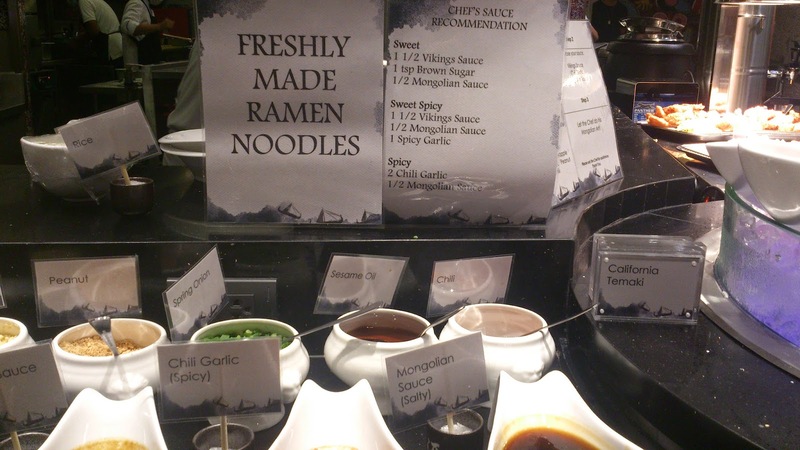 Beside the grilled station is the Freshly made Ramen Noodles, I made myself one , I wanted my soup first, to seal off the flavor of my grilled seafood, it was hot spicy and delicious the way I wanted it to be. 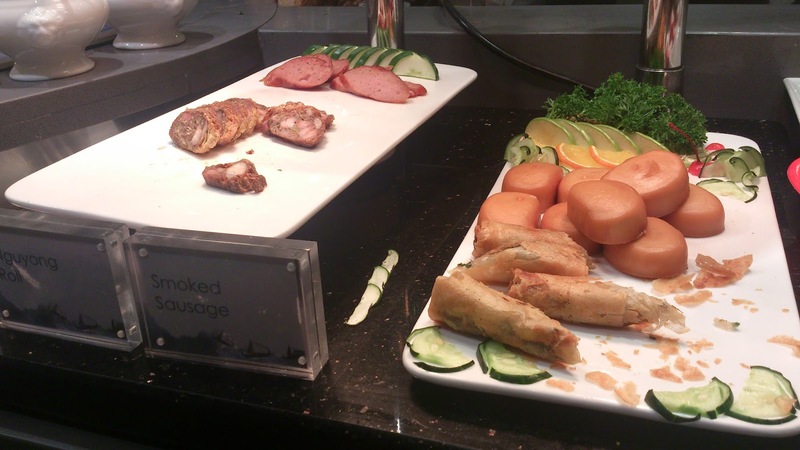 I also partook some of the spring rolls which were yummy and deliciously spiced with garlic. 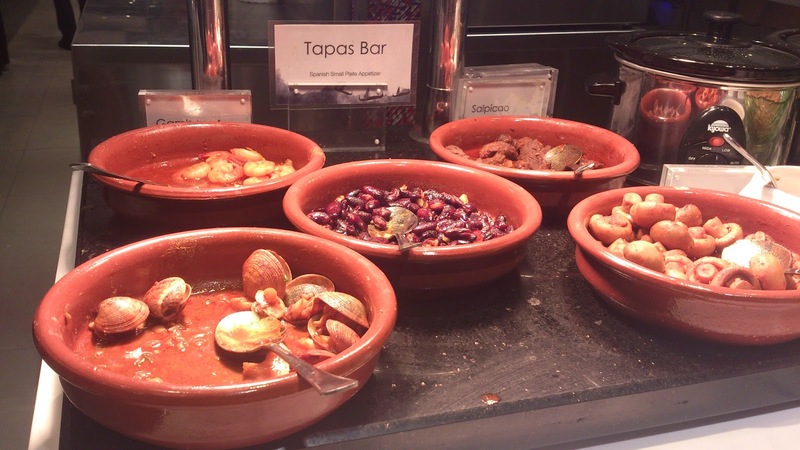 Tapas bar, with clams, mushrooms and other dishes where you can make your own dishes to your heart desire. 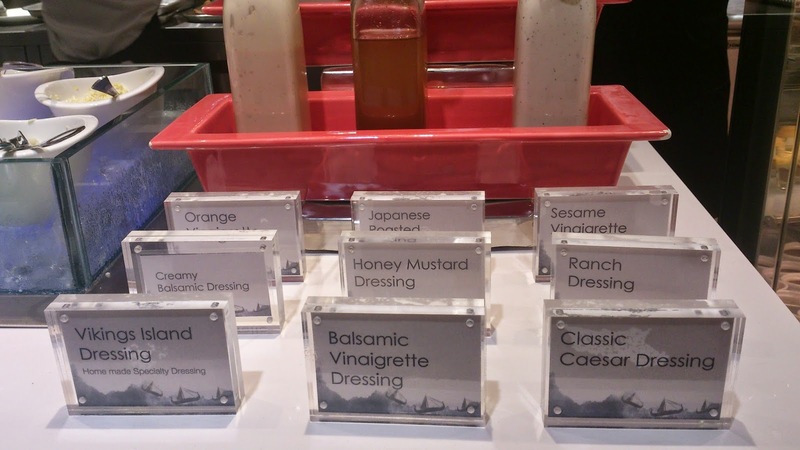 A salad bar was also provided for the vegetarian with the dressings of your choice, be it caesar, balsamic or vinaigrette or their own specialty Vikings island dressings. And who would say no to hakao and all the dumplings that you could eat? As this was served hot and ooh so deliciously prepared with chili sauce. Yum! Their shabu shabu section, where you could pair all the ingredients that you want. And of course the day would never be complete without the boneless lechon, lamb and turkey, I wasnt able to get a clear close up picture because of the long queue in front of me, as much as I wanted to. Their chapchae was soo good, and all the other dishes which was best served with rice at this section. Smoked sausage, pica pica foods were stationed here. 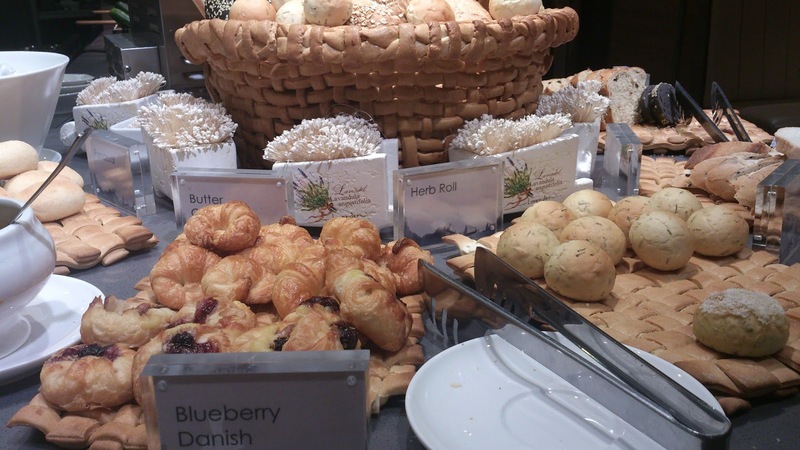 All of this are freshly baked to go with your appetizer, the blueberry danish was divine, I tell you, it has the melt in the mouth goodness. 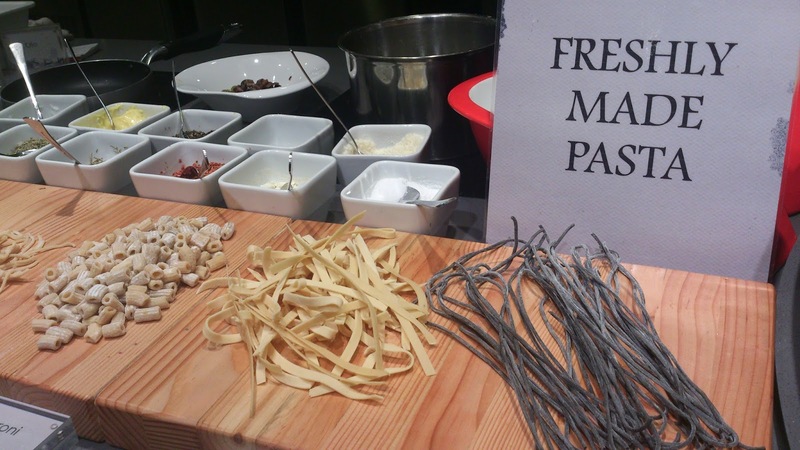 If youre into pasta, spaghetti, aglio olio and the like then this one is for you, freshly made pasta while you wait. 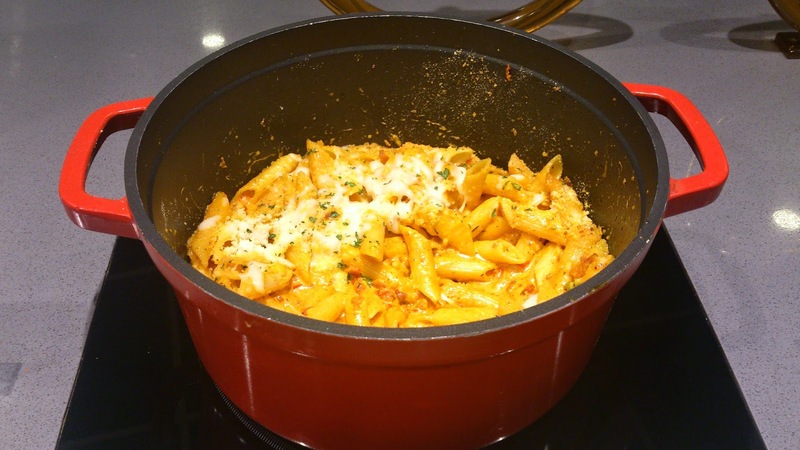 Baked cheese macaroni to perfection, this is their bestseller. To all the pizza lovers, this section is dedicated, with all the toppings, meat, cheeses that you want, while you wait, piping hot pizzas in thin or thick crust of your choice. 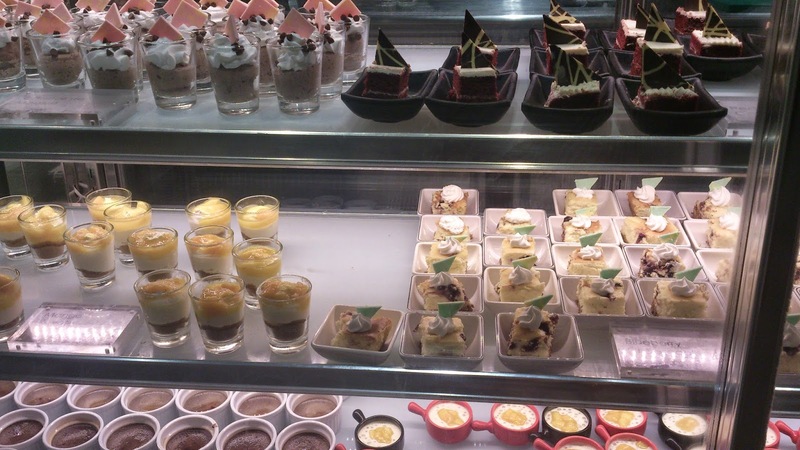 Then came the Dessert Section, for the sweet tooth, I fell in love right away with the chocolates, panna cottas, death by chocolate cakes, and all the sweets that you could imagine. 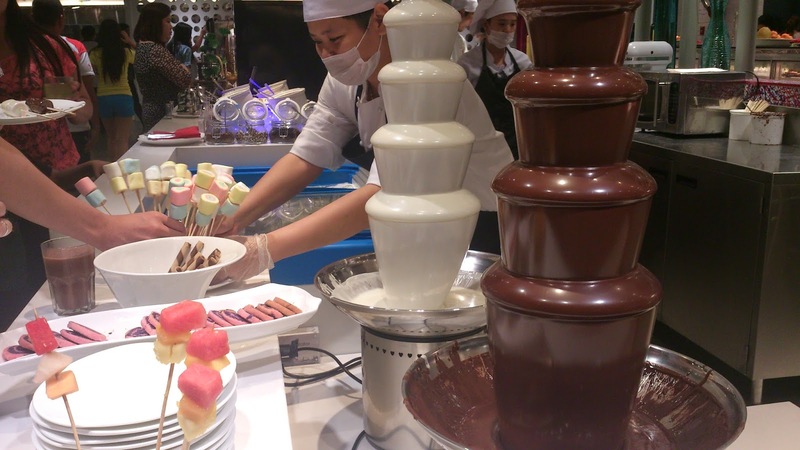 The chocolate and white chocolate fountain, pick the marshmallows or fruits that you could dipped here. 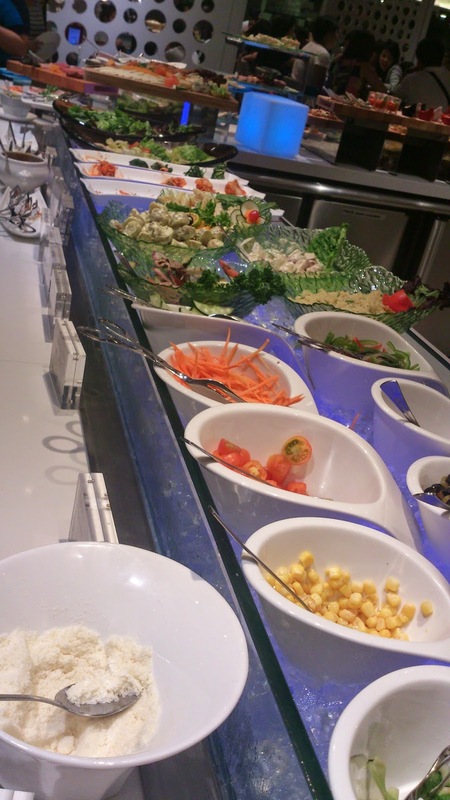 This was by far the largest buffet restaurants that I have ever been to, and I highly recommend this to everyone with exquisite taste, for a fraction of a price, you dont know what you are missing until you get in eat and drink. My pictures did not do justice because I only took half of what was offered inside. There were food sections that I didnt get to shoot, because we went a little bit late before closing time. 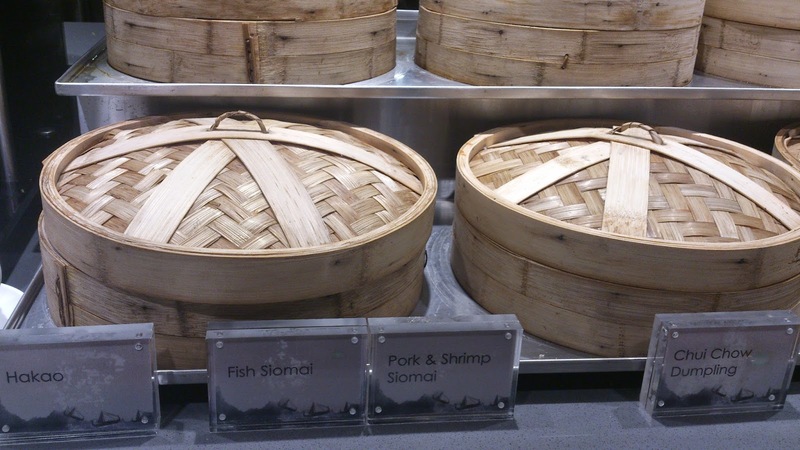 For my next visit, you will get to see all your favorite Vikings dishes. 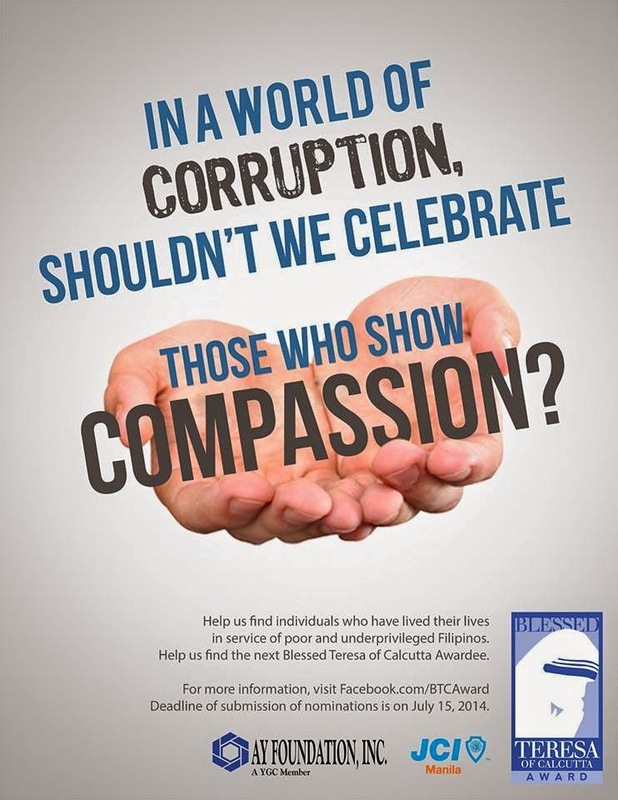 The Blessed Teresa of Calcutta Award (BTCA) aims to recognize these selfless leaders who have taken up social causes that benefit the marginalized members of society. The BTCA is a recognition dedicated to the late Blessed Teresa of Calcutta, 1979 Nobel Prize Winner, and was known worldwide as “The Living Saint” because of her selfless humanitarian work and ideals. The search, which was launched in 1983, is the annual project of Junior Chamber International – Manila (JCI-Manila) and the Alfonso Yuchengco Foundation (AY Foundation). The award-giving body aims to refocus public attention and bring recognition to those, who like Blessed Teresa, have dedicated a portion of their lives to serving the “poorest of the poor” and have served as an inspiration to those around them. The winner will receive a cash grant of One Million Pesos (Php 1,000,000.00), at least half of which will be donated to the winner’s charitable institution of choice. Nominees are open to any living individual, regardless of age, gender, race, and religion, who has dedicated himself fully and selflessly to humanitarian work among underprivileged Filipinos for at least 25 years. In addition, nominees will be likened to the degree in which they follow the example of Blessed Teresa, both in integrity and in the simplicity of their lifestyle. 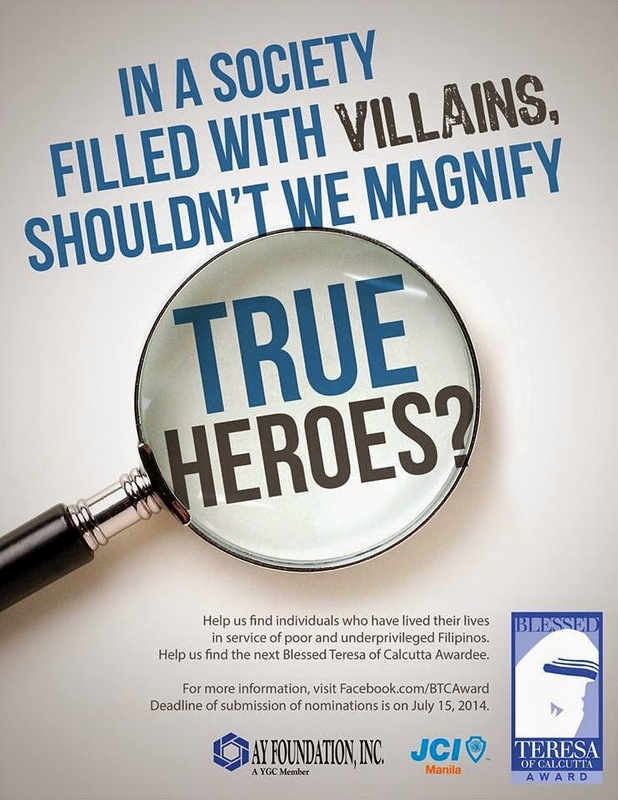 The Blessed Teresa of Calcutta Award encourages anyone who may know an exemplary individual to nominate them by filling up their nomination form found on their Facebook Page (www.facebook.com/BTCAward). Only completed nomination forms shall be accepted. The full list of rules and regulations can be found at the back of the nomination form. Deadline of nominations is on July 15, 2014. Lotta Sylwander Provides Strategic Leadership as UNICEF rep.
Ms. Lotta Sylwander has submitted credentials as UNICEF Representative to the Philippines to Mr. Albert del Rosario, Secretary, Department of Foreign Affairs. As UNICEF Representative, Ms. Sylwander provides strategic leadership in the design and implementation of programmes on health, on education, on protection and for the wellbeing of Filipino children, as part of the Government of Philippines-UNICEF Country Programme of Cooperation. Ms. Sylwander brings with her over three decades’ of substantive experience in the social development sector, garnered from leadership positions she held in many regions across the world where she championed the cause of children and women. Before coming to the Philippines, Ms. Sylwander served as the UNICEF Representative to Vietnam from 2010-2014, where she was instrumental in changing and transforming UNICEF programming for continued relevance in a rapidly evolving and developing middle income country. Her efforts led to a stronger focus on child protection, on social protection, and on ethnic minority issues and to decentralized planning and programming. Ms. Sylwander and her team worked in close collaboration with the Ministry of Justice and justice agencies to promote the establishment of a child friendly justice system, including for children in conflict with the law and child victims and witnesses of crime. In Vietnam, she engaged in policy dialogue and developed and maintained effective relationships with key national and international partners to advance the child rights agenda. Ms. Sylwander had also actively advanced the key priorities of the UNICEF Viet Nam Resource Mobilisation Strategy, establishing and maintaining donor relations and pursuing fund-raising opportunities to support UNICEF programmes in Viet Nam. She played a major role in conceptualization and development of the One Plan III (UNDAF). From 2006 to 2010, Ms. Sylwander served as the Representative of UNICEF to Zambia. From 2001 to 2006, and before joining UNICEF, Ms. Sylwander served as Deputy Director General and Director of the Africa Department at the Swedish International Development Cooperation Agency, Sida. A citizen of Sweden, Ms. Sylwander holds an equivalent to Masters’ degree in Social Anthropology and was a lecturer in the University of Stockholm. Ms. Sylwander began her career in the non-government sector in Sweden and had spent time in the Philippines in the 1970 and 80s. UNICEF began its operations in the Philippines in 1948, working with the people and the Government as a longstanding, trusted partner in advancing the rights of children through regular programmes and in support of countless emergencies caused by natural calamities. The current Country Programme of Cooperation (2012-2016) is the seventh five-year agreement UNICEF has signed with the Government of the Philippines, which serves as the basis of UNICEF programme implementation in the country. UNICEF promotes the rights and well being of every child, in everything we do. Together with our partners, we work in 190 countries and territories to translate that commitment into practical action, focusing special effort on reaching the most vulnerable and excluded children, to the benefit of all children, everywhere. Master, the leading skin care and face care brand for men launched the Master Game Face an All-Star Basketball Challenge 2014 on April 24, 2014 at Treston Intl College Gym in Bonifacio Global City, lead by two of todays hardcourt superstars and Master Ambassadors Chris Tiu and Marc Pingris, with their respected teams, from collegiate leagues (UAAP and NCAA), top players from the Philippine Basketball Association (PBA) and the Gilas National Team. This is a game to watch out for. “As the no. 1 male face care, male facial wash and face cleanser brand in the country, it is natural for us to come up with an activity featuring the no. 1 sport – basketball. We are proud to invite fans to the Araneta Center on June 21 for the Master Game Face All-Star Basketball Challenge, where Master ambassadors Chris Tiu and Marc Pingris will battle for an epic showdown with their respective squads of top collegiate hoops players and all-star players from the Gilas team and professional basketball groups. It will be a good venue to showcase how top Filipino basketball players put their oil-free game faces on with Master Oil Control Max Facial Wash” said Unilever’s Male Grooming Brand Manager Jonathan Pua. Under the helm of former Ateneo Blue Eagles and SEA Games team captain and current Rain or Shine player Chris Tiu are UAAP basketball stars Jeron Teng (DLSU), Chris Newsome (ADMU), Kevin Ferrer (UST) and Mike Tolomia (FEU). “Fans are going to have a great time seeing such powerhouse players in the Master Game Face All-Star Basketball Challenge this year, and I’m especially happy to be able to play with such talented young blood and with other professional basketball players,” said Tiu. His team is expected to include other top players from the National Collegiate Athletic Association (NCAA) and from the PBA. 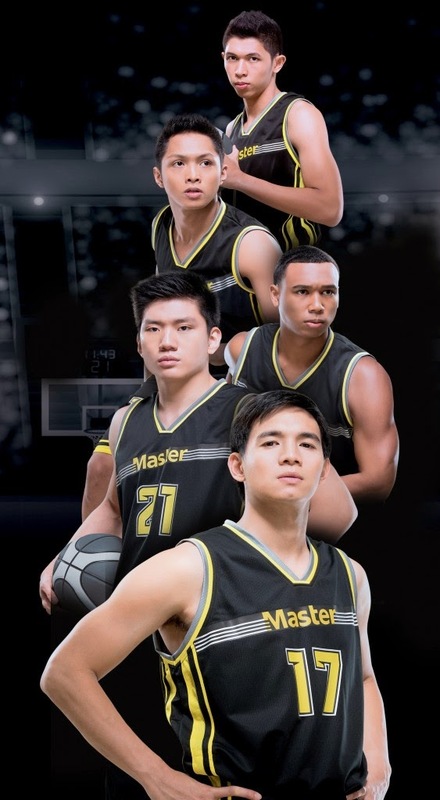 Fans of Chris Tiu’s team can show their support online by using the hashtag #MasterGameFaceChris. Current Gilas Pilipinas player and PBA defensive play legend Marc Pingris is also set to lead UAAP stars Andre Paras (UP), Jeoffrey Javillonar (NU), Jericho Cruz (ADU) and Roi Sumang (UE). His team will also include professional basketball players and selected collegiate players. Fans of Marc Pingris’ team can show their support online by using the hashtag #MasterGameFaceMarc. “I’m excited to start playing with my team. We hope to put up a great game against our opponents and to show young athletes how to put their Game Faces on with Master,” said Pingris. Along with the unveiling of the starting five players, Master also announced the launch of an online app for basketball fans to vote from a selection of all-star players from the professional league to join Team Chris and Team Marc. Fans can vote by logging on to facebook.com/MasterPhilippines and by clicking on the Master Game Face application. The online voting will begin on April 24 and the complete team rosters will be announced on a special draft to be held on May 31. “We’re also counting on the fans to help us build the teams by voting for their choice players through the Master Game Face voting app. Lucky fans who will vote for the correct and final set of players will win tickets to the all-star match, as well as special basketball merchandise,” said Pua. With a complete line of face care products including facial wash, face cleansers and face moisturizers for the highly competitive sportsman, Master takes basketball to a whole new level. Oil can definitely reduce a player’s effectiveness in any game – especially in basketball. 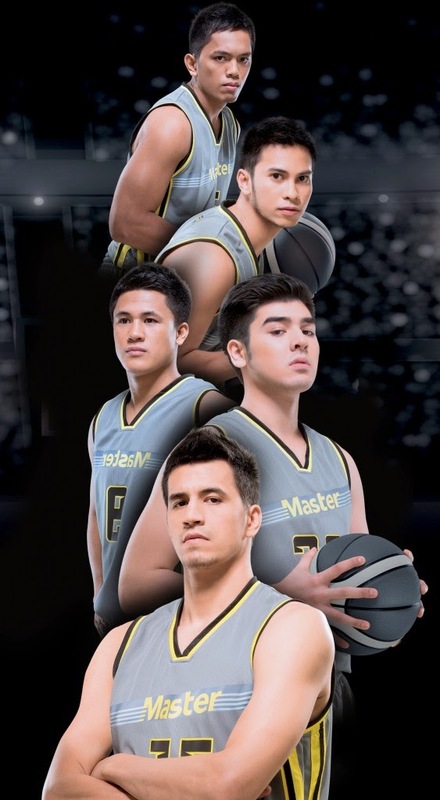 This was featured in the latest commercial of Master Facial Wash where both Chris Tiu and Marc Pingris battled it out with their oil-free, game faces on thanks to Master. Boosting anti-oil protection, Master Oil Control Max Facial Wash has the revolutionary Cooling ZEROIL formula that controls oil for 8 hours for that fresh game face look to bring out the best in anyone’s game – even off the court. Get 8 hours of no oil with Master Facial Wash so you can put your game face on! You can also fight deep seated dirt that causes pimples with Master Oil Control Max Deep Cleanser. For more details about Master products and about the Master Game Face All-Star Basketball Challenge, visit facebook.com/MasterPhilippines. Follow Master on Twitter and Instagram @MasterGameFace to find out the latest about Master products and about the Master Game Face Challenge. 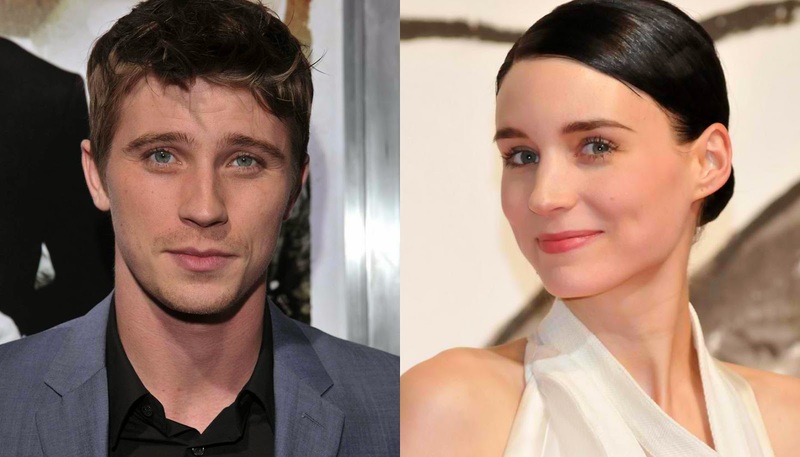 Principal photography will begin April 28 on Warner Bros. Pictures’ live-action Peter Pan feature from director Joe Wright (“Atonement,” “Pride & Prejudice”). Offering a new take on the origin of the classic characters created by J.M. Barrie, the film follows the story of an orphan who is spirited away to the magical Neverland. There, he finds both fun and dangers, and ultimately discovers his destiny—to become the hero who will be forever known as Peter Pan. Amanda Seyfried (“Les Misérables”) rounds out the cast as Mary, alongside Jack Charles (“Mystery Road”) as The Chief/Tiger Lily’s father; Taejoo Na (“The Kick”) as Kwahu; Nonso Anozie (“Son of God,” “Atonement”) as Bishop; Kathy Burke (“Tinker Tailor Soldier Spy”) as Mother Barnabas; Kurt Egyiawan (“Skyfall”) as Murray; Lewis MacDougall (UK TV’s “In the Name of the Children”) as Nibs; and newcomer Leni Zieglmeier as Wendy Darling. 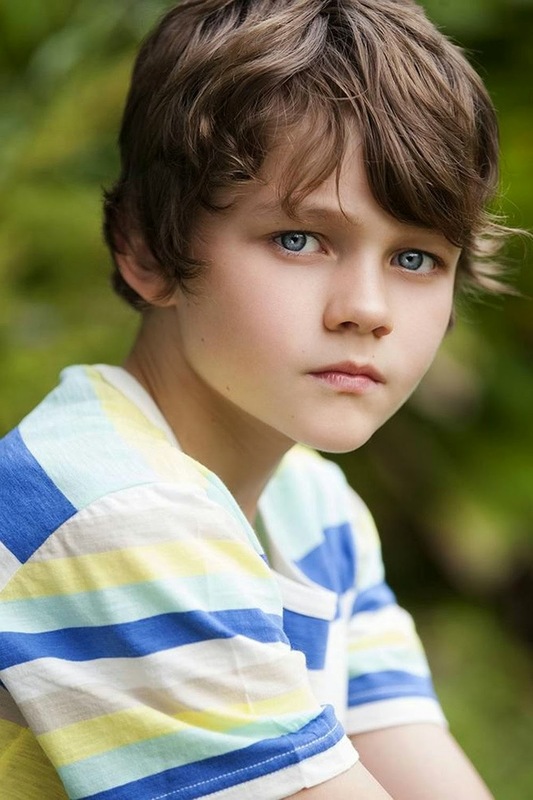 Wright is directing the as-yet-untitled Peter Pan adventure from a screenplay by Jason Fuchs. Greg Berlanti, Paul Webster and Sarah Schechter are producing, with Tim Lewis serving as executive producer. Filming will take place at Warner Bros. Studios Leavesden. The film is set for a worldwide release on July 17, 2015. “Begin Again is a true New York story about the magical opportunities that can be found under this great city’s bright lights. 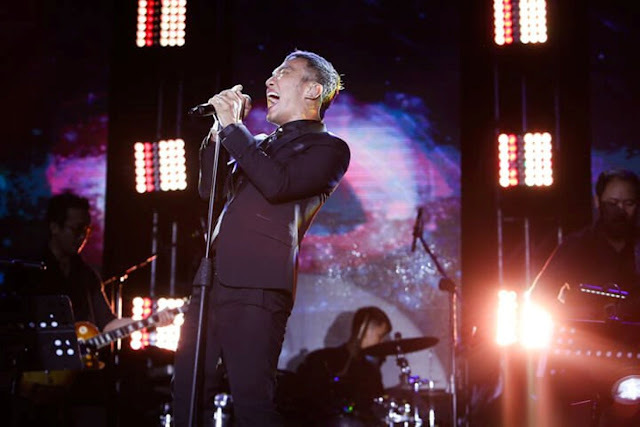 That said, I can’t think of a better place to have its U.S. premiere than the Tribeca Film Festival,” said John Carney. The Tribeca Film Festival which runs from April 16 to 27, 2014 this year, aims to help filmmakers reach the broadest possible audience, enabling the international film community and general public to experience the power of cinema and promote New York City as a major filmmaking center. It is well known for being a diverse international film festival that supports emerging and established directors. Founded by Robert De Niro, Jane Rosenthal, and Craig Hatkoff, the Tribeca Film Festival has screened more than 1,500 films from more than 80 countries since its first edition in 2002. For more information about the Tribeca Film Festival website at www.tribecafilm.com. BEGIN AGAIN opens in cinemas on August 2014 and will be distributed by Solar Entertainment Corporation. For a generation who grew up on new wave music, Bon Jovi, and Madonna, we only knew one name and place for pizza and pasta--- Shakey’s. With their trademark thin crust pizza that was so crunchy and goes best with a Bunch of Lunch, spaghetti, milkshake and Beer, Shakey’s has been part of our teenage years as much as the Pinoy kids who grew up before us and even the youth of today. It has been a part of my college life where my college classmates and I were regular weekend figures at their Espana branch. This was the time when visiting Shakey’s meant saving our entire week’s allowance, as we did not want to settle for just any other pizza place. It was the only hangout where we felt safe, drinking beers and laughing our hearts out as we shared stories. It became the place for our “Friday” bonding moments where we argued over failed relationships, gossiped about finding new ones, compared crushes, bragged about good grades, and terror professors, over 5 orders of bunch of lunch, slices of crunchy pizza , spaghetti and 2 pitchers of draft beer. Those were the days filled with good memories and food. As soon as they served that all-too-familiar thin crust pizza, all the memories back from college days flashed right before me. It was nostalgic first bite, and Shakeys for all its goodness will be here to stay. Things may have changed in the food industry, but Shakey’s has retained their all-time favorites that can surely bridge any generation gap. For Shakey’s, their identity has always been a family restaurant, with pizzas that encourage hearty eating and bonding over a delicious meal. 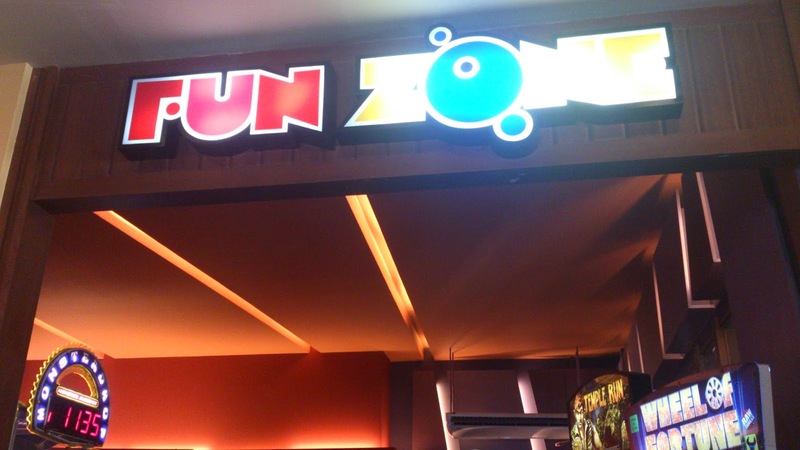 It’s not just their namesake offer, however, that has guests craving for more, but a whole lineup of favorites that have made them the destination for good times and great memories. 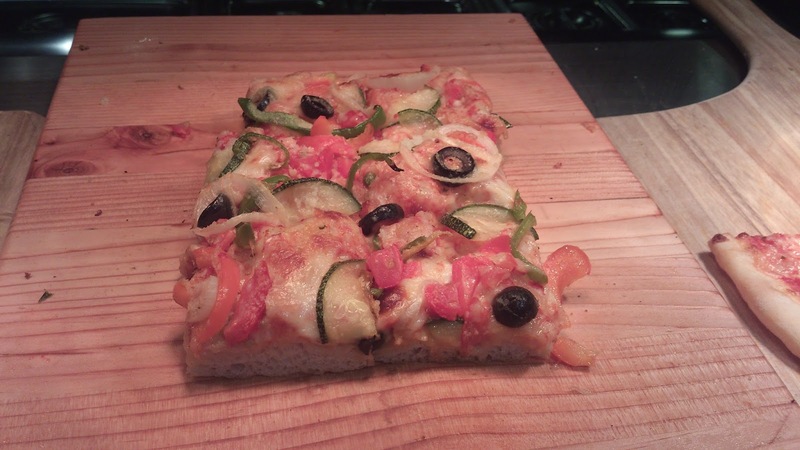 Often considered the soul of the Shakey’s brand, their pizzas come in various exciting flavors and a variety of crusts. Their Manager's Choice, Friday Special, Angus Steakhouse, and Belly Buster number among a few of the brand’s more popular variants. Hinging off an exceptional thin or hand-tossed crust and premium ingredients, these choices are rich in flavor and pack on a lot of value. Of course, pizza isn’t the only thing on offer with Shakey’s gradually expanding their menu to fit their growing clientele. 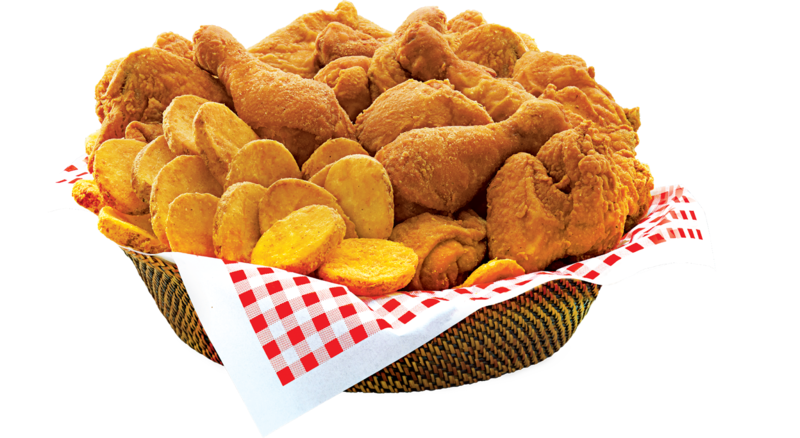 Fans also flock to the brand’s awesome twosome Chicken ‘N Mojos for days when the hunger pangs hit hard. 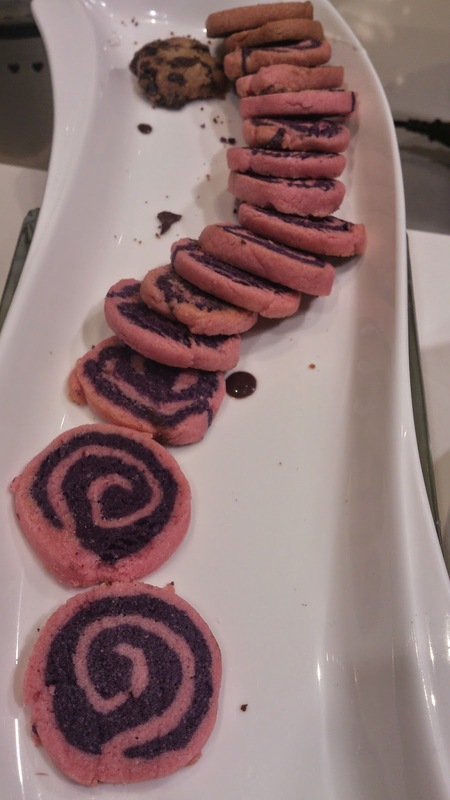 These classic mainstays reached high popularity among many, both as in-house treats and via delivery. 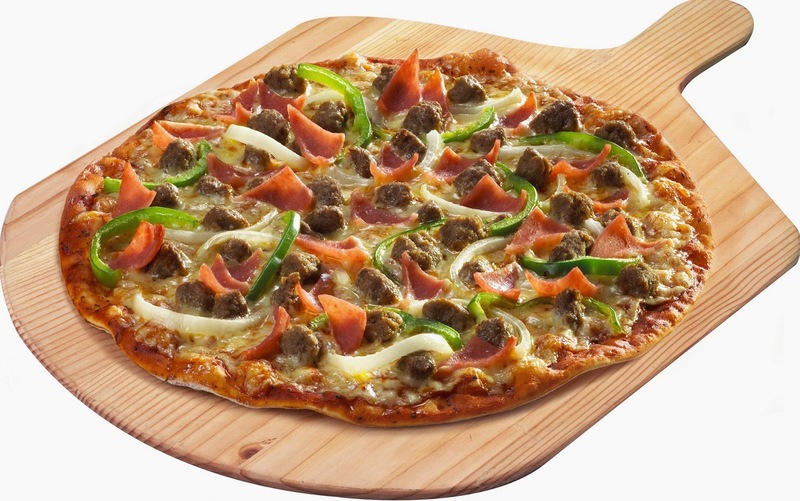 The brand also introduced yet another complement to their pizzas with the classic Shakey’s Super Shakes. 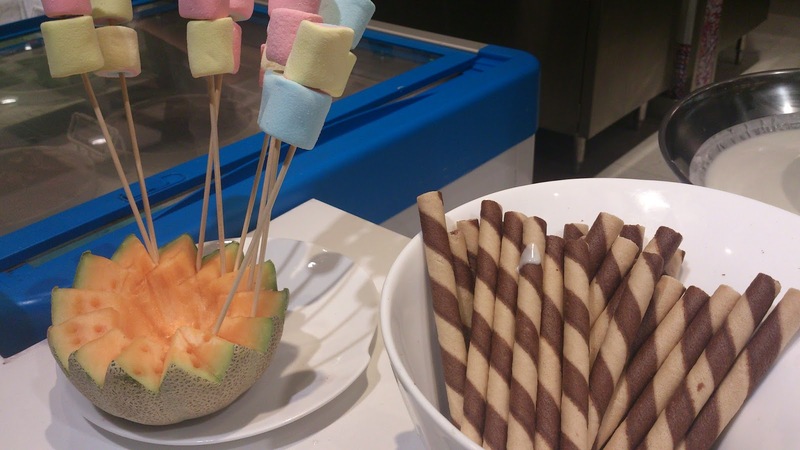 Eventually, the brand sought to provide more variety with newer and more stimulating additions to the menu. 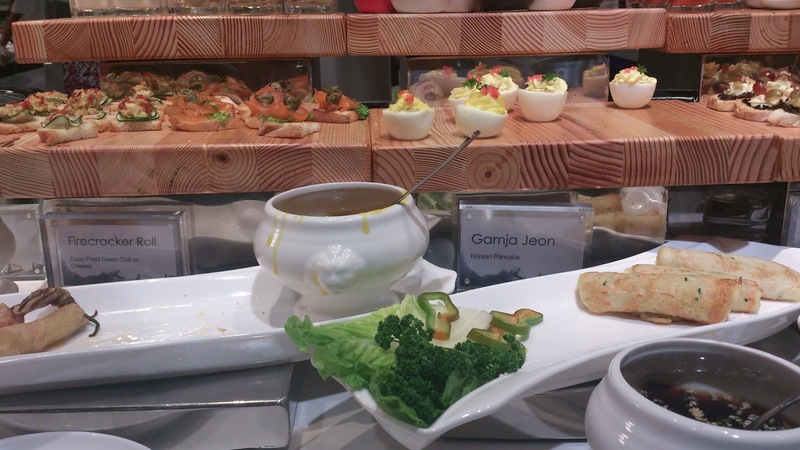 Their appetizers, such as the Shrimp Poppers, and American Salad and pasta dishes, like Prima Lasagna, gained traction with diners who were pleasantly surprised by fresh selections, still with the same quality, taste, and value. Shakey’s only continues to innovate, keeping up with the changing mindset of their modern diners. They continue to produce food that leaves a lasting impression, making the Shakey’s name a relevant mainstay in the Metro’s food scene. Shakey’s has always endeavored to live by a standard of guest satisfaction, keeping the family at the forefront of all its operations. With the conception of their new legacy stores, they are adding yet another phase to its marketing strategy. 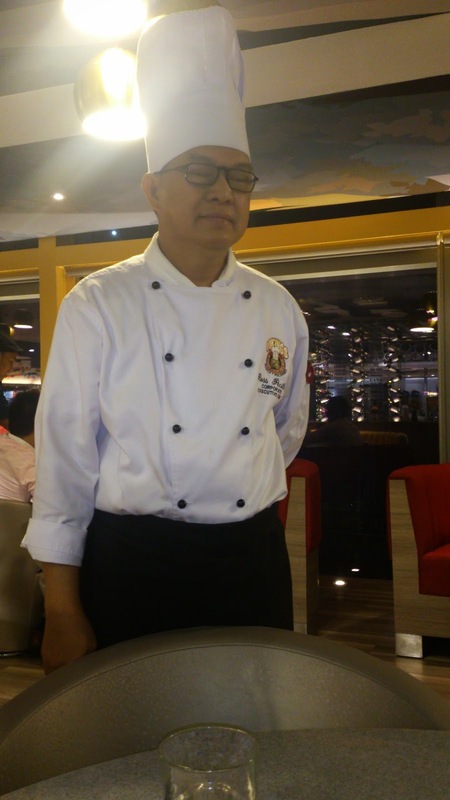 “The main goal of Shakey’s is to be an iconic brand, something that lasts longer than a lifetime,” added Gregorio. 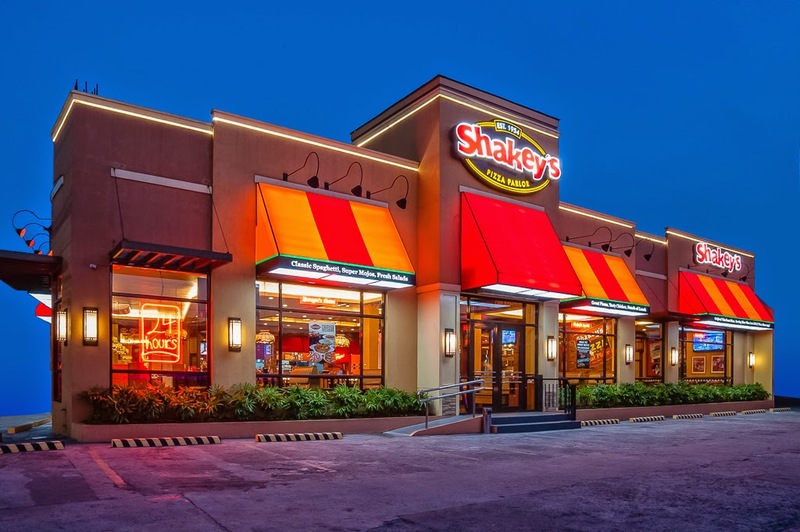 “Shakey’s Legacy Stores are marketing flagships that typify our corporate philosophy, traditions, and core values,” he adds. Aimed at providing the best for the family, each legacy store contains the same offerings that have made Shakey’s a favorite among many in the Metro. 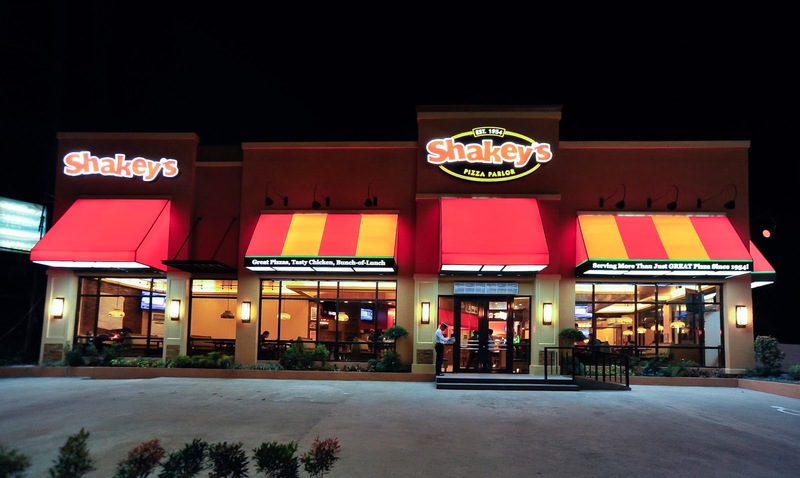 More spacious, brightly lit, and located at locations separate from other establishments, each one projects the presence and stability of the Shakey’s brand. Features such as long communal tables, Shakey’s FunZone arcade areas, and ample parking spaces cater to the needs of the family. Hinging on their desire to provide good times and great memories, Shakey’s creates a place that is conducive to conversation and enjoyment. 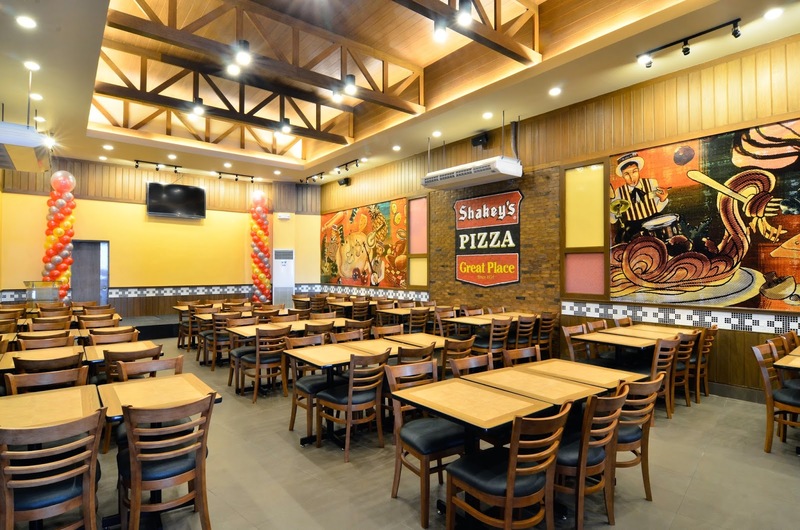 Guests can indulge in the same quality and value that has made Shakey’s a family favorite, while benefitting from the refreshing ambiance. The Shakey’s Legacy Stores are located along Loyola, Shaw 500, Marcos HIghway, Paseo de Sta. Rosa, Bacoor Junction, San Pedro, Lipa, E. Rodriguez and Quezon Avenue with more slated to open this year. Both a complement to existing Shakey’s branches and assets by themselves, the Legacy Stores are here to stay. 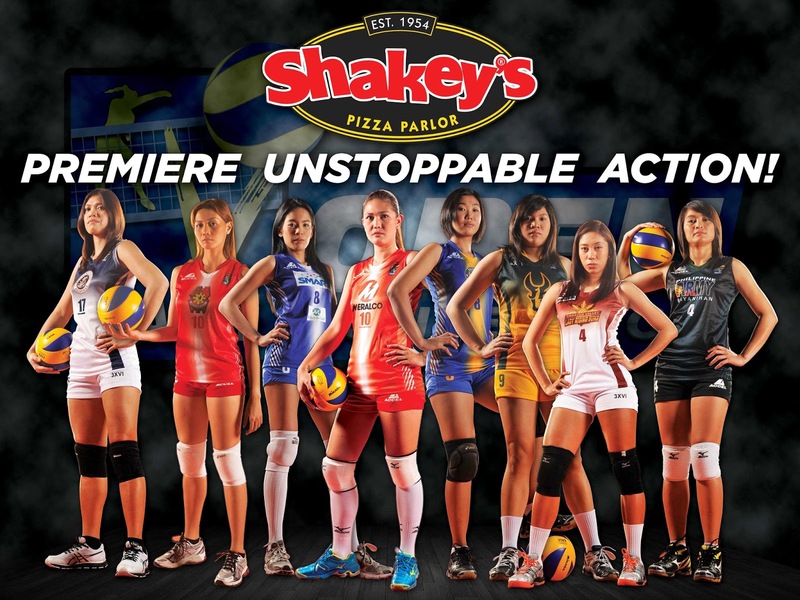 As part of its advocacy for the youth, Shakey’s has also come up with the Shakey's V-League. Primarily a collegiate women's volleyball league it has been active since 2004 with teams coming from the University Athletic Association of the Philippines (UAAP), the National Collegiate Athletic Association (NCAA) and the Cebu Schools Athletic Foundation (CESAFI), among others. Since 2011, non-collegiate teams have joined the league - such as, MERALCO, Maynilad, the Philippine Army, Philippine Navy, Philippine Air Force and the Philippine National Police. The UST Tigresses is the team with the most number of titles in the league having won six championships, followed by the De La Salle Lady Spikers with three. 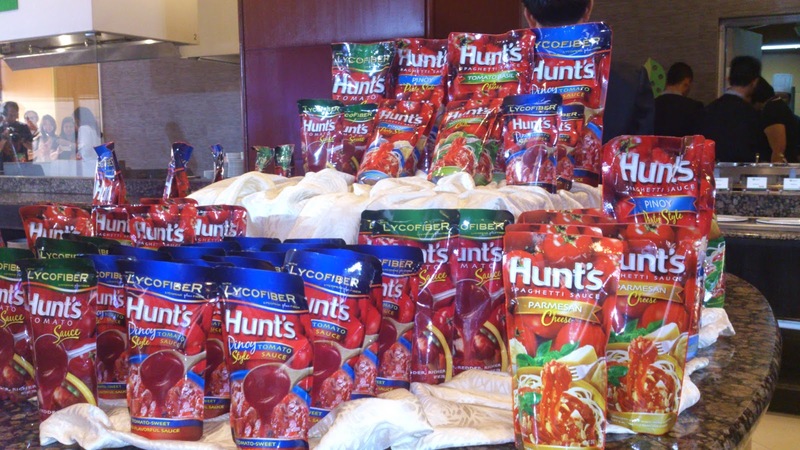 Hunts tomato sauce has Lycofiber which combines the benefits of lycopene and real tomato fiber. Tomato sauce are a good source of lycopene, an antioxidant that lower the risk of heart disease and contains vitamins and minerals that are essential for our body . Secondly, tomatoes contain high amounts of dietary fiber that is good for growing children who are picky when it comes to eating vegetables. Now you can feed them a good amount of tomatoes and enjoy it at the same time without them knowing, by making spaghetti, pasta, estopado, chicken curry, and soup based tomato dishes. Incorporating Hunts tomato sauces in our kitchen means living the healthy life and giving our family the right amount of nutrients. 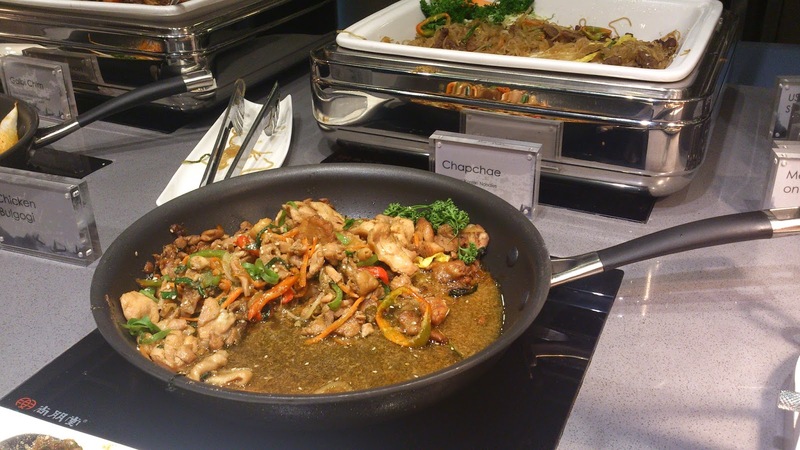 Last April 23, 2014, Delamar hosted Hunt’s Kitchen Superstar media event held at the Fab Restaurant at Holiday Inn Galleria, our team, Ed Uy of WhereisEdUy.com and Marlon Aldanese of Cook Magazine prepared Chicken Curry from scratch. Hunts tomato sauce sealed off the curry flavor. 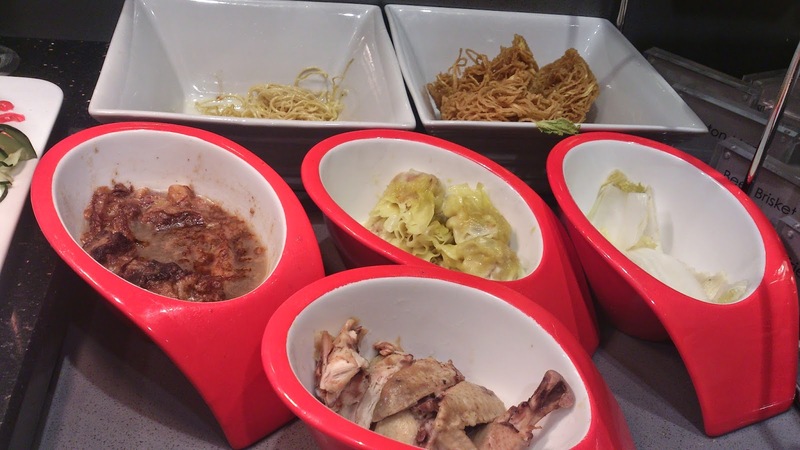 Our ingredients are half boiled chicken, potatoes, curry powder, coconut milk, pineapple bits, Hunts tomato sauce, curry powder and fish sauce to taste. 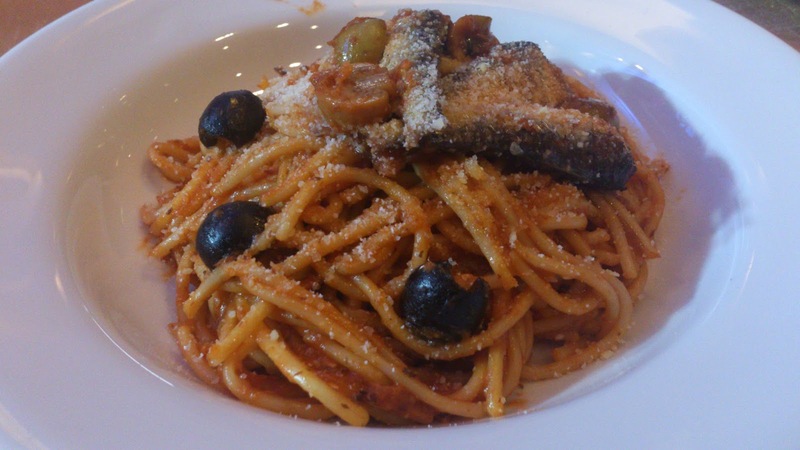 While others cooked pork estopado, pasta with sardines and spaghetti. 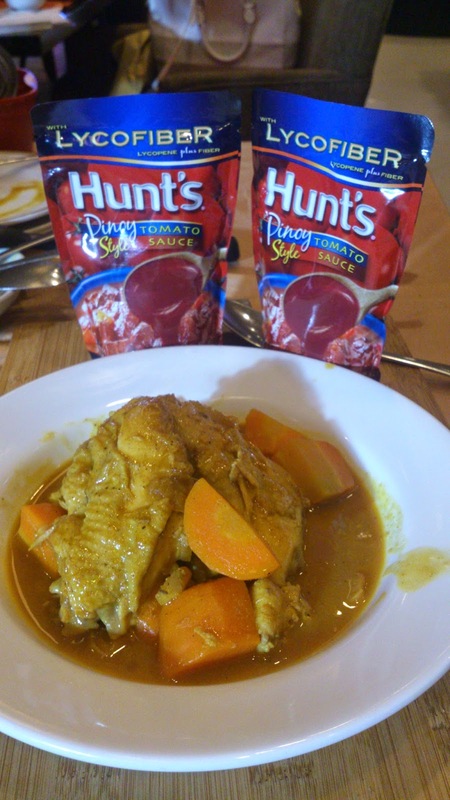 Tomato and spaghetti sauces brand Hunt’s has taken home-cooking to new heights for many Filipino moms. Modern moms’ use of the trusted brand can spell the difference between standard and supreme when it comes to serving heartwarming meals. To further help moms become kitchen divas, Hunt’s is launching a series of webisodes which focus on simple yet exciting recipes busy homemakers can whip up. 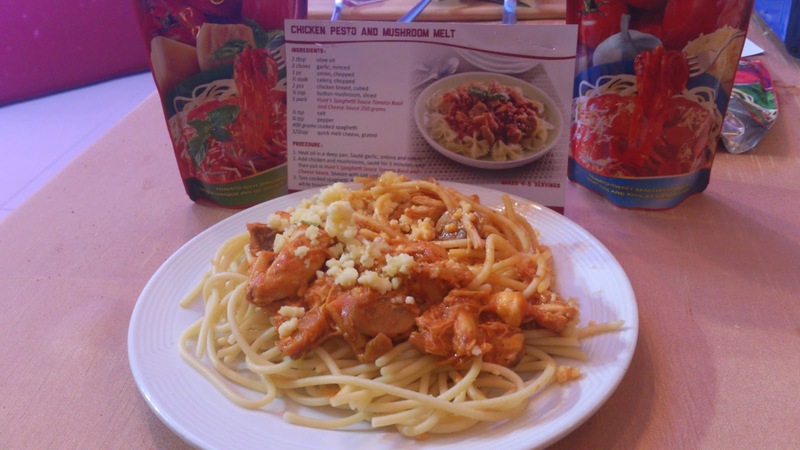 The Hunt’s Kitchen Superstar webisodes each last just a minute and half and shows how easy it is for anyone to be a kitchen superstar with Hunt’s Tomato and Spaghetti Sauces. 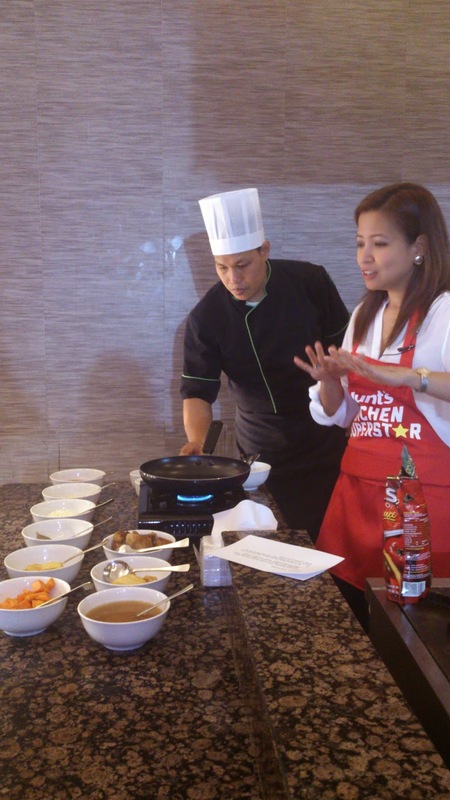 Hosted by Inez Bernardo, a home-cook mom, the series aims to assist them in preparing creative and delicious Hunt’s-based dishes that are simply superb. 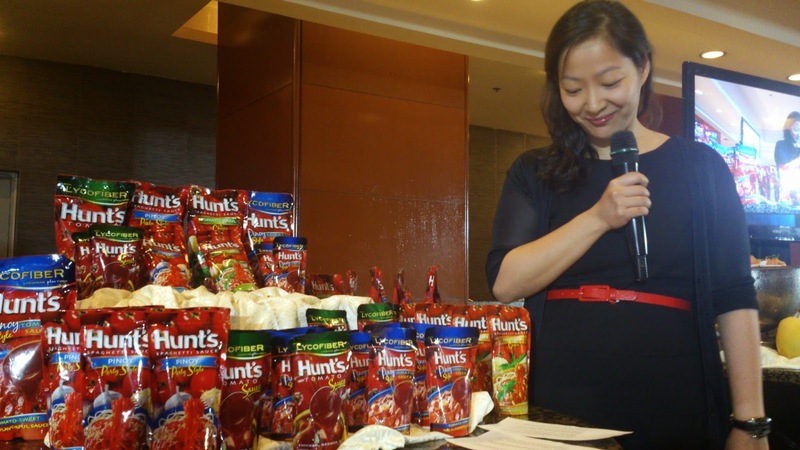 “We can guarantee that with Hunt’s Tomato and Spaghetti sauces, being a kitchen superstar is a reality for today’s modern moms because these products help them prepare superstar meals every day,” said BU General Manager for Joint Ventures (NUR & HUR) Marcia Y. Gokongwei. Made from vine-ripened tomatoes and packed with a nutritional bonus thanks to its Lycofiber ingredient, Hunt’s enhances the flavor of popular dishes and fortifies them with the benefits of lycopene and real tomato fiber. 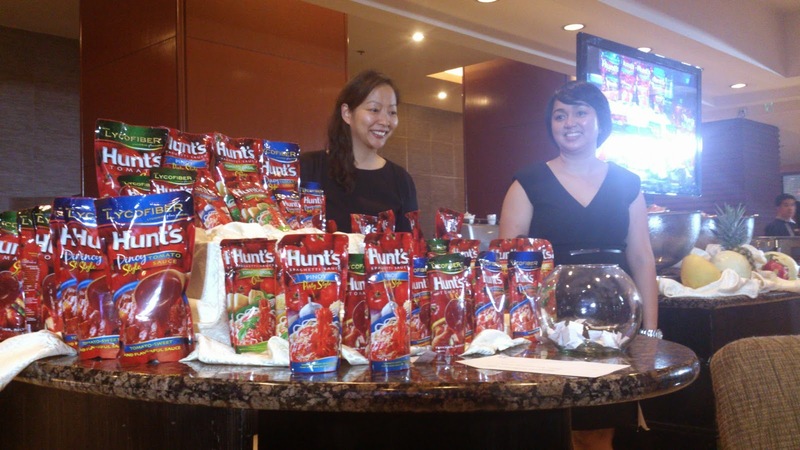 “With its rich heritage and long-standing tradition of bringing together great taste and tomato goodness in no time, Hunt’s is proud to have delivered more than 30 years of home-cooked goodness to every Filipino household,” adds Marcia. Whip up your own superstar culinary creations and don’t miss the Hunt’s Kitchen Superstar webisodes. 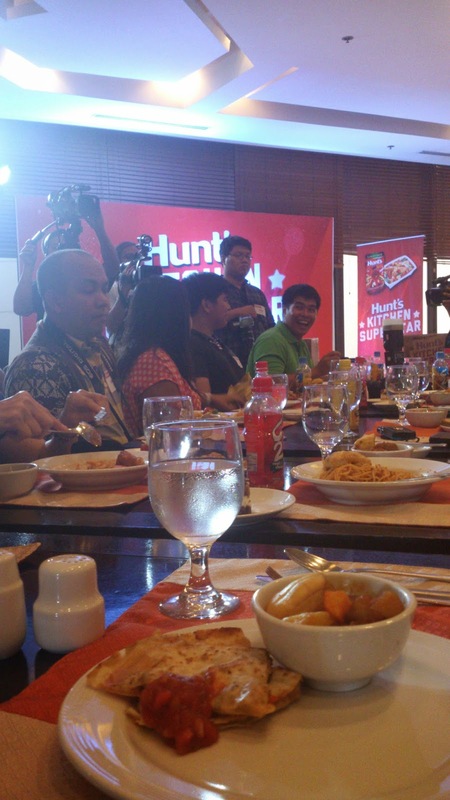 Like www.facebook.com/YummyHuntsPH or visit www.yummy to get yummy updates from Hunt’s Sauces.